There is no better way to understand the uniqueness and value of Lumina than to experience it through a live taster session or webinar, where you’ll receive your complimentary 38 page Lumina Portrait, and be introduced to how the model works and is used with clients. You already appreciate the importance of getting the most from your staff. Whilst psychometrics are a powerful tool for doing this, unfortunately existing methods don’t provide enough tangible business benefits. But we’d like to offer you an alternative that will take your staff’s performance to the next level. Lumina is a cutting-edge way for businesses – big and small – to transform their people and their bottom line. We’d like to offer you a free copy of our booklet on using it to transform your business. 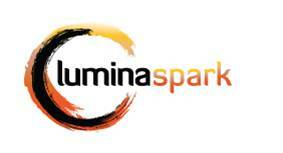 Lumina Spark is a remarkable professional development tool that supports individuals and teams to work more effectively. It is unique amongst other psychometric tools because it avoids any stereotyping, while enabling clear communication about personal preferences using memorable colours. Clients enjoy using it because it produces clear insight into how individuals can work more effectively with others. Individuals love it because it gives a clear, jargon free insight into their personality. The starting point of your Lumina Spark professional development experience is a simple online questionnaire which enables you to receive a highly personalised 38 page Lumina Portrait. This accurately describes your persona, and provides a practical method for reading and adapting to other people. The Portrait is used as the basis for your on-going development programme. While Spark utilises the latest Big 5 research to provide a solid empirical base for its Portraits, it also maps directly into the Jungian preferences measured by many popular tools (such as MBTI). This enables users of these reports to instantly identify and appreciate the extra depth that the accurate measurement gives. Lumina doesn’t label people or put them in a box, we call this trait, not type. Lumina doesn’t force choice of preferences, we call this “embracing paradox”. Lumina measures directly what you do naturally, every-day and under pressure, we call this the “3 personas”. “Getting to know myself professionally and concretely identifying areas that I need to improve has been invaluable. Leadership is a set of qualities that can be developed in the right people in any organisation. 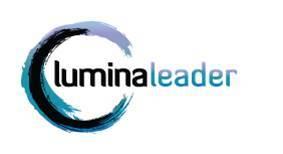 Lumina leader supports this development by providing a tailored assessment and development programme for your leaders. It is based on tailored leadership competencies that suit your business environment. The Lumina Leadership portrait includes a 360 degree element to gather valuable feedback from people across the organisation. By defining, measuring and acting on feedback, Lumina Leader provides new and existing leaders with the opportunity to execute exceptional leadership, and provides the support and feedback necessary to ensure success. If people are the key to any successful business, then recruiting the right staff is one of an organisation’s key challenges. Furthermore, CIPD research shows the cost of hiring the wrong person can equate to a year’s salary, which doesn’t take into account lost opportunity costs, poor customer service and the negative impact on staff morale and productivity. 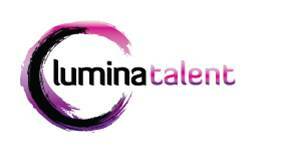 Inspire uses Lumina Talent to identify top performers in the recruitment process. Our faster, more accurate selection tools are arguably the most developed on the market. This ensures organisations improve the quality of the people selected hence reducing recruitment costs. Sales success relies on a careful combination of attitude, aptitude and hard work. Lumina Sales supports this process by providing individuals with clear feedback on how their personal qualities are used at each stage of the sale. This enables specific coaching to maximise their strengths and transform their weaknesses. Lumina Sales also supports salespeople to “speed read” customers more effectively and understand what they want at every stage of the sale process. This helps accelerate conversion rates and customer satisfaction. Just like individuals have a personality, organisations have a set of qualities and personality that represents them. We call this “company culture”. Lumina Culture helps organisations and individuals plan for success by mapping and describing their current culture and ethos. This enables Lumina to work closely with Leadership teams to develop the right culture for success in any organisation. This analysis also helps identify the leaders and individuals that can drive this change. Inspire are one of most engaging trainers that we’ve ever had the fortune to use. As a result of their training programme, the performance every team member improved.